Click on the "My Designs" button. Once you have arrived on the "My Designs" page, click on the "New Folder" button. A pop up will appear. 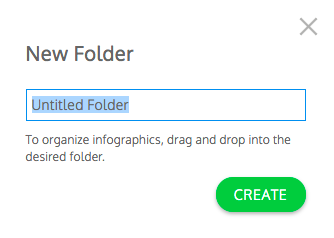 Name your new folder and click on the "Create" button. Your new folder will appear on the left. 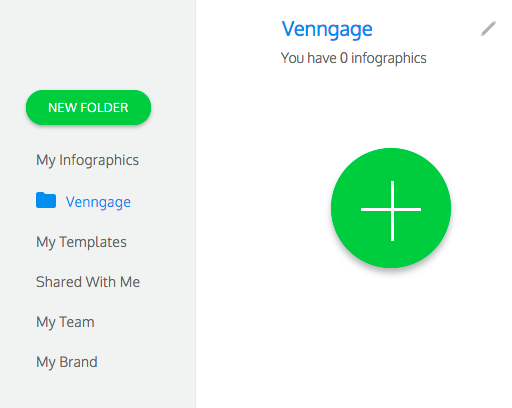 When you click on the folder, you will now have the option to add an infographic to it. 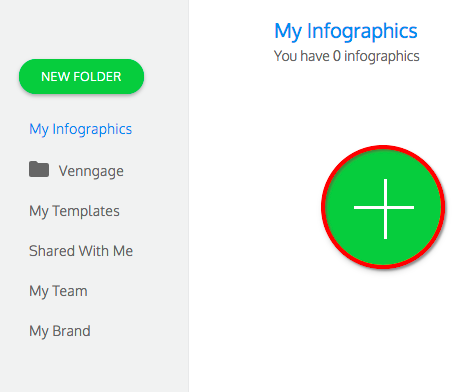 Click on the "+" button to add an infographic to your new folder. 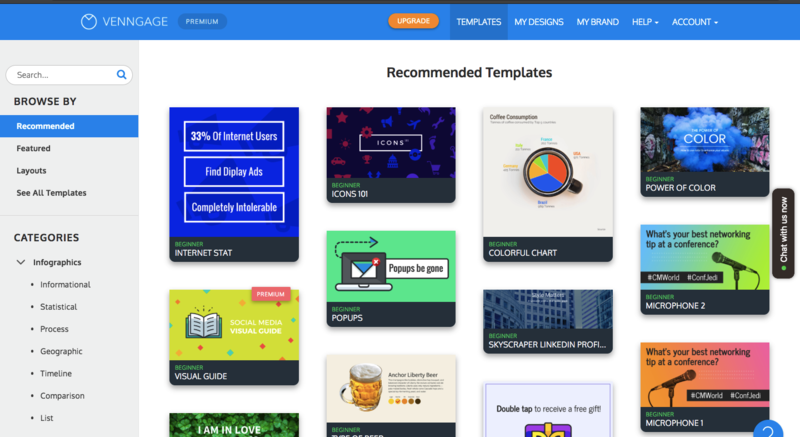 You will then be taken to the "Templates" page where you can create a new infographic that will be added to your folder. 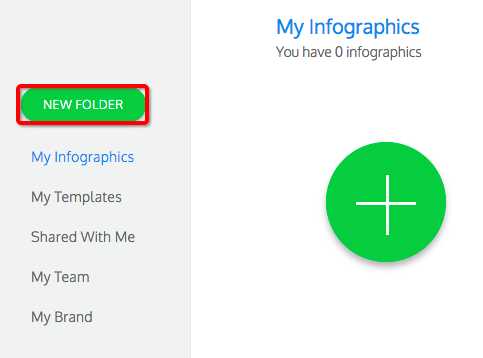 If you want to move infographics between folders, simply click on the infographic you'd like to move and drag it into another folder. You will then find the infographic in the folder you dragged it into.